Food: Sweet Freedom Choc Shot - Daisy Chains. 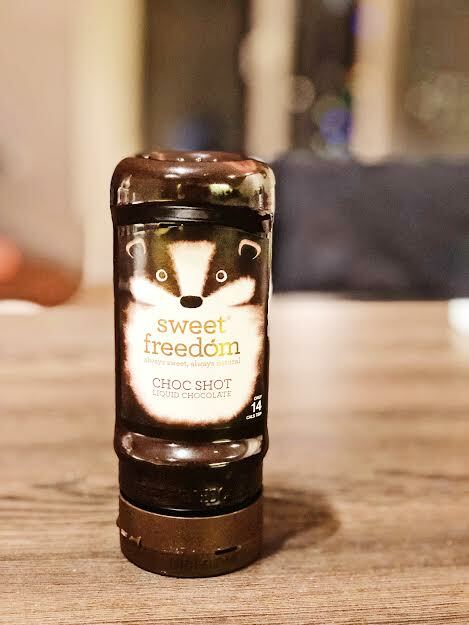 Recently I found this choc shot squeeze tube in a Tesco near my house. I've heard quite a lot about this product and have always wanted to try it. The primary use I had for this product was making hot chocolates which I think it does a magnificent job in doing. It's not too sweet and made out of completely natural vegan products. So if you would like your hot chocolate to be be on the sweeter side I suggest that you add a bit of cane sugar into your hot chocolate. Another use I found for this product was as a substitute for chocolate spread on my toast. Of course this will taste a bit different than Nutella as it does not have hazelnuts in it but it is still equally as delicious. As it's in a squeezy bottle this is extra convenient for when you are in a rush to make breakfast in the morning. What I didn't like so much about the product is what I pretty much do not like for any product that is in a squeezy bottle. The fact that when it is nearing the end of the product it is an absolute nightmare to actually get the remaining product out of the bottle. What's your favourite dairy free chocolate product?